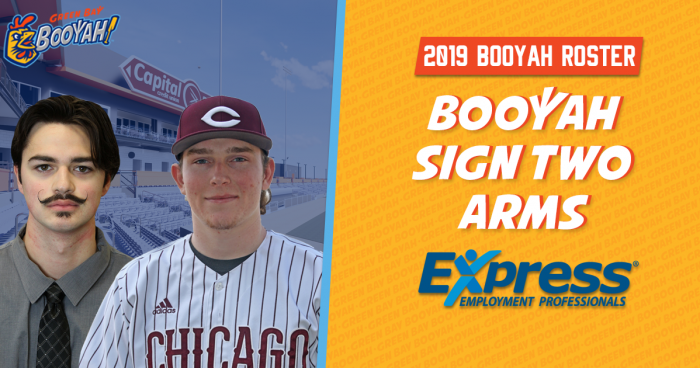 Ashwaubenon, Wis.- The Green Bay Booyah have announced the addition of pitchers by signing Bobby Dorta (Millersville) and Kyle Petri (Chicago). Dorta, a 6-foot-5, junior out of Palmyra, Pennsylvania has been a steady force out of the bullpen for Millersville throughout his career. Right now, he has pitched 9.2 innings and has a 0.00 ERA with 9 strikeouts. Dorta has been a valuable bullpen piece as he has compiled a 3.86 ERA in 60.1 career innings for Millersville. 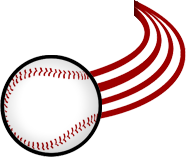 Dorta made a couple of solid appearances for rival Wisconsin Rapids last summer, going 1-1 with a 4.50 ERA. Millersville will look to continue their solid start in a four-game series against Shippensburg this weekend. Petri, a 6-foot-6, freshman lefty from Lighthouse Point, Floirda, is off to a magnificent start for the University of Chicago. The freshman has already been named MWC Pitcher of the Week and has led his team to a 7-3 start. Petri is currently 3-0 with a 1.00 ERA through 18 innings pitched. The tall lefty has struck out an incredible 39 hitters and has held opponents to a .127 B/AVG. The University of Chicago will look to continue their success this weekend against Lawrence College in a four-game set.